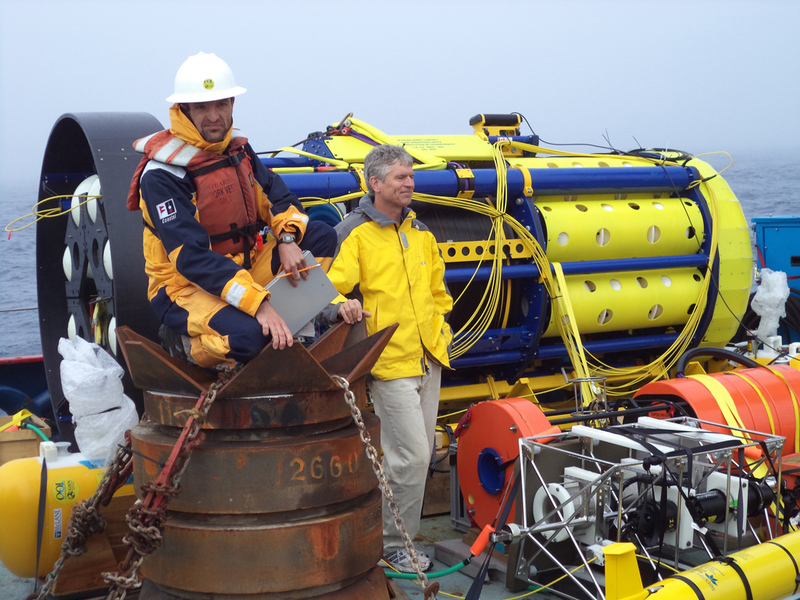 Marking a major milestone, the Ocean Observatories Initiative (OOI) program in July successfully deployed the first global site of the OOI infrastructure at the Station Papa location in the Gulf of Alaska. Detailed cruise information can be found in the Station Papa Deployment Cruise Report. 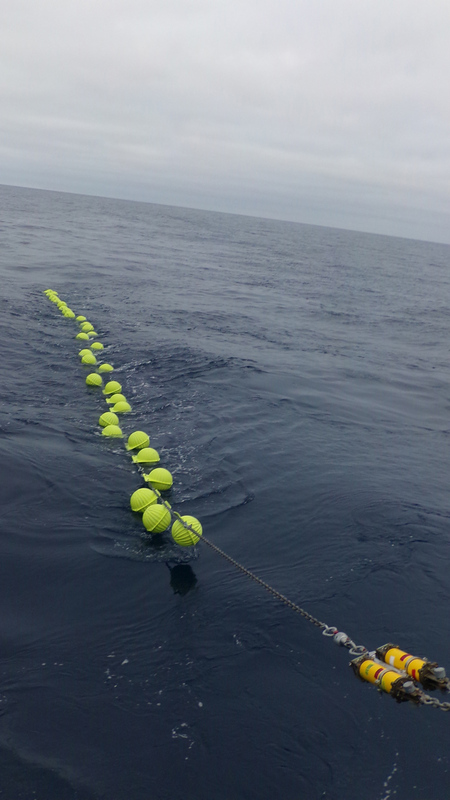 A team led by the Scripps Institution of Oceanography at UC San Diego, with their partners at the Woods Hole Oceanographic Institution, embarked on a cruise starting on July 15 to deploy this equipment. The cruise, which concluded on July 29, took place on the Scripps/U.S. Navy Research Vessel (R/V) Melville. The vessel departed and returned to the University of Washington dock in Seattle, WA. 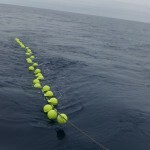 During the cruise, the OOI team deployed one Global Hybrid Profiler Mooring, two Mesoscale Flanking Moorings and three Global Gliders. A total of 57 instruments were deployed. 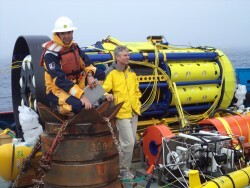 Extensive on-site testing during the cruise ensured that all equipment was functioning and properly relaying data for test purposes, both acoustically and via satellite, before the ship departed the site, according to Professor Uwe Send, of Scripps and the chief scientist of the expedition. 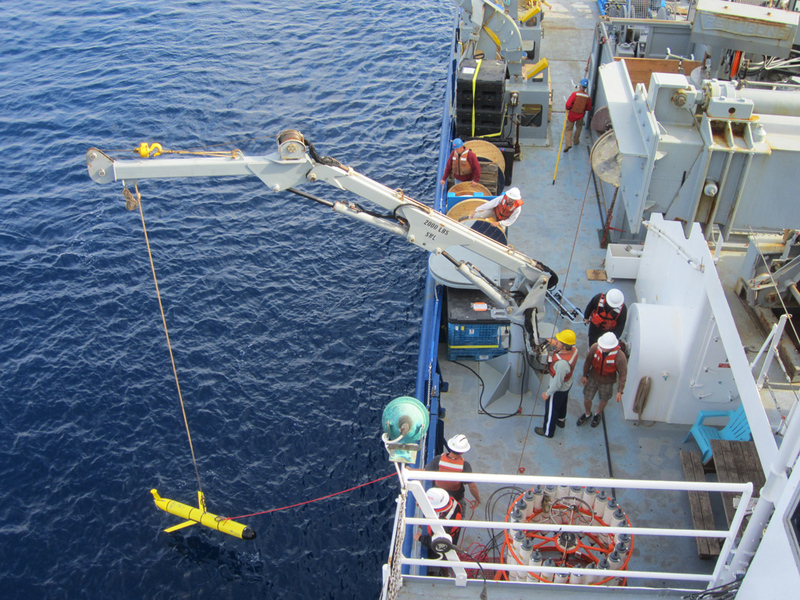 The OOI team is in the process of monitoring the instruments and gaining experience with their remote use and operation, and will make more information available when possible on the OOI Website. This cruise marks a major step in deploying a critical component of the OOI program and has been several years in the planning and development stages. 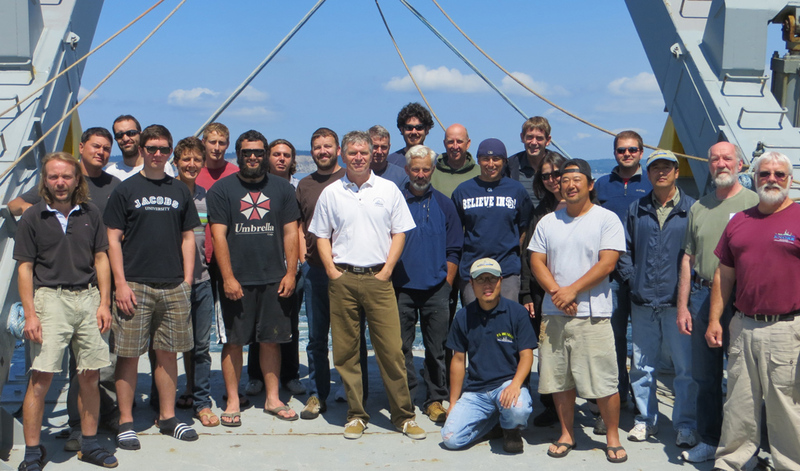 The OOI team at Scripps Institution, led by Send, worked for over a year to build and test the many components of the infrastructure deployed during the cruise. The lead up to the deployment cruise demanded the full attention of Send and a highly skilled team across the OOI. 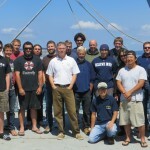 “There were many issues we had to deal with in the run-up phase to the cruise and during the cruise itself, and it is only thanks to the extremely hard work and professional execution of my team and of the additional cruise participants from Woods Hole and Halifax, that we managed to leave in place a functioning array,” Send said, noting that it was very gratifying to see that after the deployments the team could retrieve data. 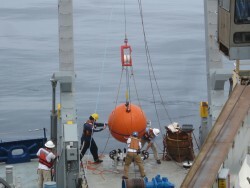 The global component of the OOI design includes a network of moorings at critical, yet under-sampled, high-latitude locations such as the Station Papa site in the North Pacific. 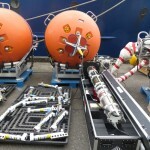 The array is composed of a subsurface Global Hybrid Profiler Mooring made up of two types of profilers: a surface piercing profiler operating from ~150 m to the surface, allowing satellite data telemetry, and two wire following profilers, one operating from 310 m to 2,170 m and the other from 2,195 m to 4,060 m. A prototype Global Surface Piercing Profiler was deployed as part of the Hybrid Profiler Mooring during the cruise. 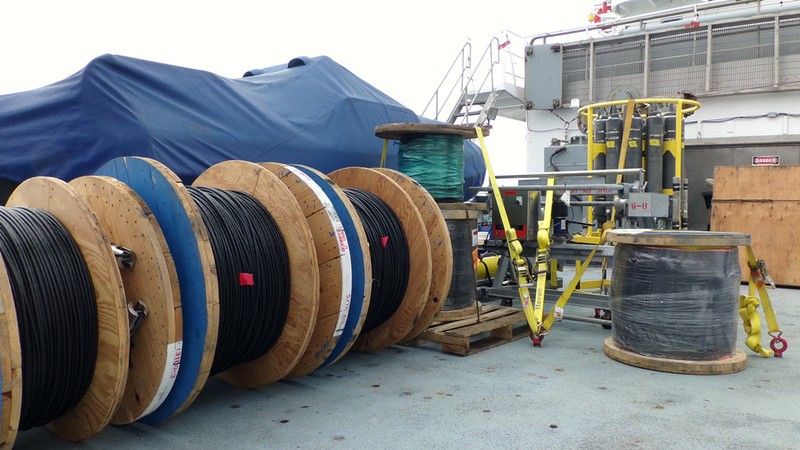 The OOI hybrid profiler mooring will supplement a pre-existing surface mooring operated by NOAA/PMEL at station PAPA, and is also located next to the end point of the Canadian line-P hydrographic section occupied several times per year. The two subsurface Mesoscale Flanking Moorings were deployed to form a triangular array ~40 km on a side. 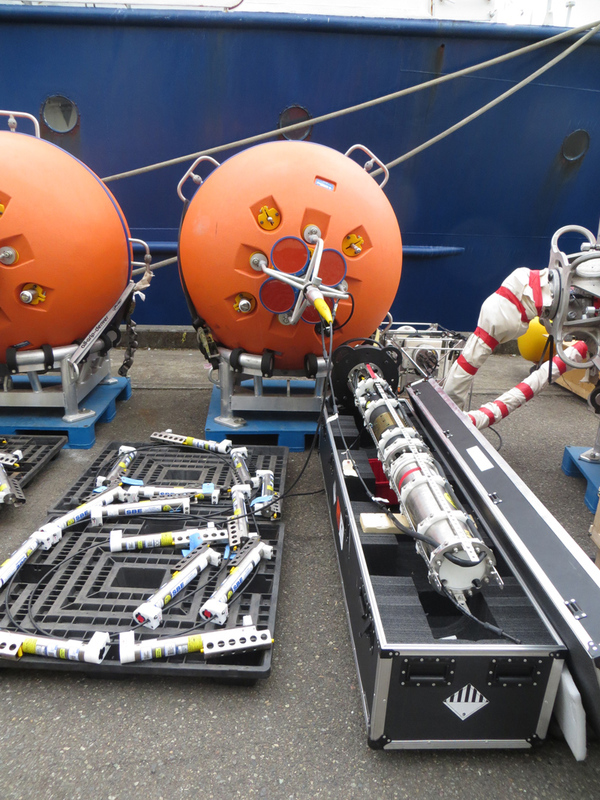 These flanking moorings have their uppermost flotation and sensors at ~30 m depth and instruments at discrete depths along the mooring line. Gliders equipped with acoustic modems to relay data to shore via satellite telemetry will sample within and around the triangular array. These gliders will carry sensor suites with the capability to alter sampling rates during a mission. The design and implementation of the Station Papa site has been a large team effort across the OOI. Please visit the OOI Instrument Tables Section on the OOI Website to read more details and view maps on the Station Papa location here. In addition to mid-summer deployments at Station Papa, the OOI program has phased deployments planned for the Endurance Array and Pioneer Array for early and late fall. 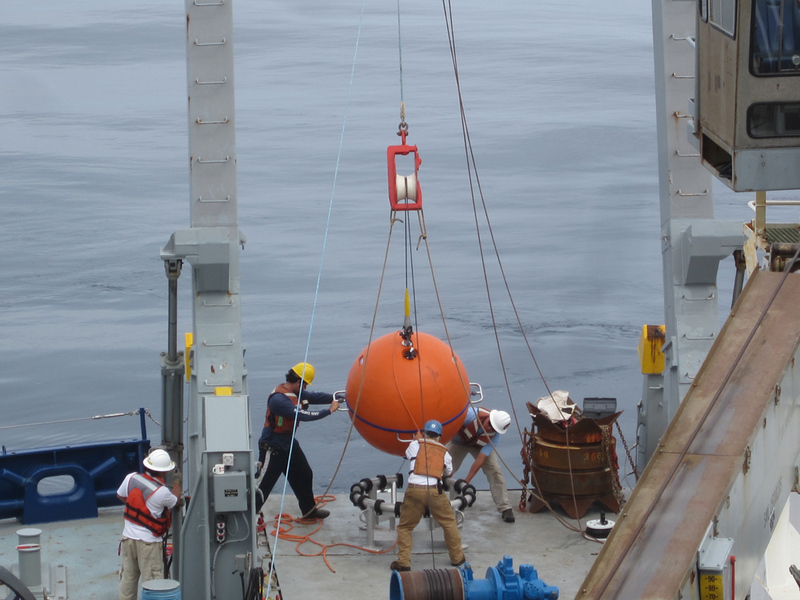 Currently a University of Washington led team has conducted critical at sea work on the cabled observatory component of the OOI in the northeast Pacific Ocean. truction will take place at those locations. 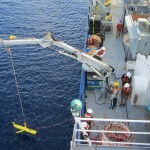 The global deployment in the Irminger Sea is scheduled for the summer of 2014. The two other global sites are scheduled for deployment in late fall 2014 and early winter 2015 in the Argentine Basin and Southern Ocean at 55 South. The construction phase of the program officially ends in 2015. Please continue to visit the OOI Website for updates on the Station Papa cruise and activities across the OOI. Please submit Questions and Comments here.